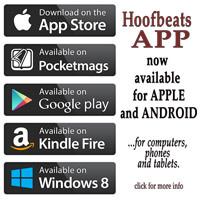 Hoofbeats Magazine - What Controls Appetite in the Horse? Hunger is difficult to understand - except in ponies who all seem to have over-eating disorders - as horses are unable to communicate hunger. Appetite is the sum total of internal factors that either stimulate or inhibit hunger, and the primary driver of appetite in horses is to meet energy requirements. An example of this was a study where ponies were fed grain diluted with sawdust - the ponies increased their intake, but when the sawdust was removed, intake decreased. These intake changes occurred over a couple of days, indicating that horses did not detect the change in energy intake on the basis of taste, but in response to a signal from body energy stores. The degree of fill of the stomach has little influence on feeding, but taste, visual contact between horses, energy density of the feed, rate of eating and time of day all influence appetite and feed intake. Low blood glucose causes horses to eat more and faster. In ponies, blood glucose influences the interval between feeding but not the amount. Adding oil to the feed produces low, steady blood glucose levels, extends the interval between feeding and reduces total intake for three to 18 hours after consumption. Horses tend to rely on taste and smell to discriminate between foods. Taste preferences and palatability are affected by the physical nature and smell of the food, for example, whole oats and cottonseed are consumed more readily if first passed through a hammer mill and mixed with molasses. When the preferences of horses for grains are measured, they prefer oats and corn to other grains and mixed sweetened grains most of all. Some horses prefer feed they are accustomed to, others prefer novelty. Other factors affecting preference include temperature, appearance, texture and any sound the feed makes when being prepared or during eating. 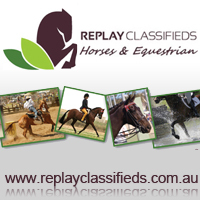 Many horses show a preference for sugar and phosphorus – similar to our general liking of sugar, fat and salt. 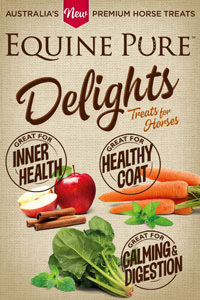 Palatable flavourings can promote feed intake and horses show a special liking for apple, carrot, raisins, molasses, dark brown sugar, licorice, strawberry, kiwi fruit, grape, tropical punch, banana, vanilla, peppermint, cinnamon, corn syrup, honey, fresh grass, cider vinegar, sprouted grains, aniseed, yucca, garlic, salt, chocolate and sugar. 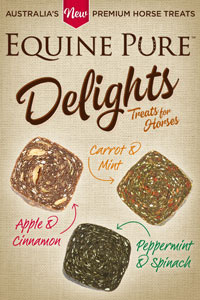 While taste does to some extent affect appetite, horses have a compulsive psychological and physiological need to chew. They spend more time grazing than do any other domestic hoofed animal – up to 60% of each 24 hour cycle, chewing 30-50 times per minute or approximately 60,000 times a day. 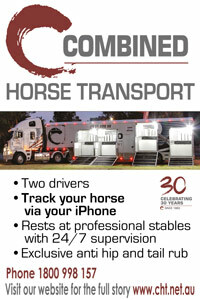 Under most current management systems horses are fed two meals a day, which they consume in 30 minutes to four hours. 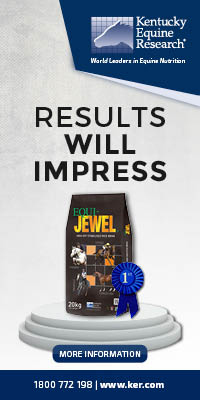 The amount of chewing is affected by the type of feed - chewing rate while eating pellets is 70 chews/minute and horses on a pelleted diet spend around 2 ½ hours a day chewing (approximately 10,000 chews per day). 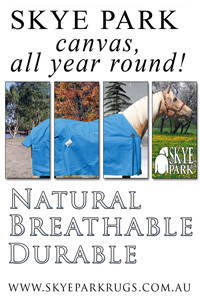 On a hay diet, horses chew 59 times/minute, spend over 12 hours a day chewing, resulting in around 45,000 chews per day. Searching behaviour (i.e. sifting through wood shaving bedding for food particles) occupied 12% of the daily time budget when the horses were fed a pelleted diet, and 1% of the time on hay diets. When horses have constant access to hay they chew 43,476.5 chews/day, and only 10,036.8 chews per day if the diet is pellets with little hay available. Neither horses nor ponies fast voluntarily for more than three to five hours, with the most prolonged fasts occurring between 1am and 6am. Horses salivate only when they chew; therefore the more chewing the more saliva and the less chance of stomach ulcers. Stomach ulcers can reduce appetite and horses that have constant access to pasture or hay chew more, have lower acid levels and fewer ulcers. A lot of brain circuitry is devoted to chewing and mental welfare is compromised if chewing is limited. And, the full feeling or hunger is affected by the amount of feed in the intestine and the amount of fibre in the beginning of the large intestine (caecum). Hay that has coarse stems and little leaf remains longer in the large intestine as fermentation is slower and this can have a depressant effect on appetite. This is an advantage in overweight horses and those that are compulsive or greedy feeders, as when combined with the increased chewing required to breakdown the fibrous stalks and stems, the horse thinks it has eaten a lot and this satisfies the psychological desire to chew! Appetite and feed intake are affected by body weight, stage of growth or pregnancy; activity level (1-3% of body weight); passage rate of the digested feed through intestine; energy density of feed; electrolyte imbalance; environmental temperature; general health; dental care; fatigue and the absence of other horses (social factors). There are also other factors (ie sensors in the brain) that affect appetite. Wood chewing can be a sign of boredom or simply not enough feed to satisfy the horse’s appetite. 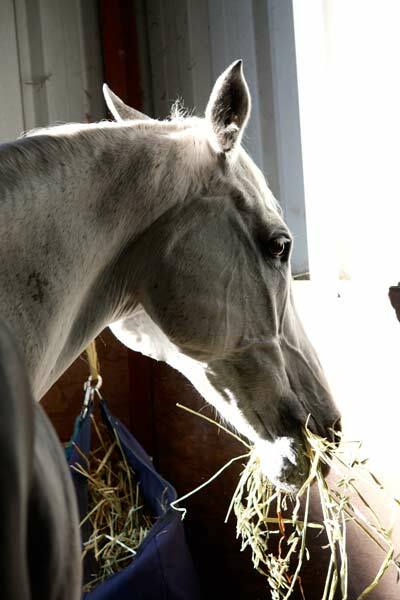 When hand feeding, it is not unknown for horses to get insufficient feed to satisfy their appetite, but over-feeding may be mistaken as a loss of appetite. There are huge differences in the bulkiness and energy density of feeds, so that failure to clean up may mean that the horse has been given 20% more energy than it is familiar with or requires. Due to differences in the energy density and bulkiness of different feeds, there can be a wide variation in amount fed - weighing the feed gives a more accurate measure of amount fed, than feeding by dippers (see Feb March 14 Vol 35 no 5 for Weighing Feed). Hungry horses are not happy horses and if not able to satisfy their appetite every day, they will not be contented and will not perform to their best ability. The only way of ensuring horses don’t go hungry is to always have feed available. A good rule of thumb when calculating the amount an individual horse requires is to feed 1.5 – 3% of their body weight each day, including pasture. The percentage varies depending on the age, workload, quality of concentrate and roughage and reproductive status. 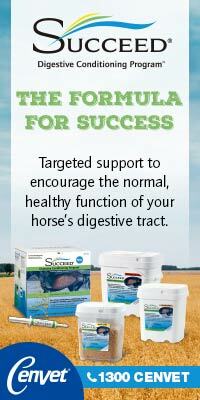 Spelling horses require approximately 1.5-2% of bodyweight in feed. For competition horses in hard work, yearlings, weanlings and lactating mares, up to 3% of bodyweight may be required each day in feed. Appetite for an adult horse in work is around 2.5% of body weight – or for a 400kg horse, 10kg of feed per day. If the diet is mostly grass, which can be 80% water, the horse may need four to five times this amount. 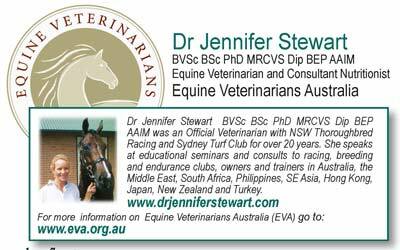 So if feeding is a default behaviour – ie animals eat unless actively inhibited – what factors cause horses to lose their appetite? Loss of appetite can be due to compromised ability to taste and smell, decreased ability to chew and digest (facial, oral, pharyngeal, oesophageal or intestinal problem), pain, fear or stress associated with illness or disease. B vitamins, especially thiamin, can stimulate appetite as anorexia is the first sign of B-vitamin deficiency. High grain diets increase the production of acids in the gut. These acids can be converted to glucose, but this requires B-vitamins. Anorexia is the first sign of B-vitamin deficiency and B-vitamins, especially thiamin, can stimulate appetite. B-vitamins are produced during roughage breakdown in the caecum. Production is limited on low roughage-high grain diets and if the demand for B-vitamins exceeds supply, gut acid levels rise. This has a central depressing affect on appetite and promotes manure eating (coprophagy), bedding and wood-chewing. Several studies have shown that coprophagy is eliminated and wood-chewing is reduced when the protein content of the diet was raised from 6.2 to 10%. In high performance horses where the requirement for energy is enormous and loss of appetite a major problem, the temptation to reduce the roughage in the hope that the horse will eat all the concentrate actually compounds the appetite-suppressing affect of excess acid. In these cases, increasing the access to roughage often leads to a return of appetite for the concentrate. Using feed with a high nutrient density can help to meet nutrient requirements even in the face of reduced appetite. It should be remembered that urine and manure contamination of paddocks makes the grass unpalatable and not all plants are edible – a horse may be up to its fetlocks in a rich green paddock, but show loss of appetite and body weight if the beautiful lush vegetation is unpalatable weeds – so loss of appetite may be due to nothing to eat! 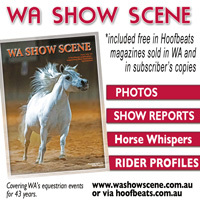 Dental problems affect appetite and the incidence of abnormalities such as hooks, wave and shear mouth are reduced when horses are fed at ground level. When horses eat with their heads down, the mandible (lower jaw) drops forward and the teeth grind in the correct position. Eating with the head up prevents the correct alignment of the teeth and results in dental abnormalities and cuts and abrasions to the mouth tissues. 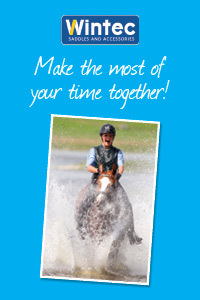 Social facilitation means that a horse tends to do what other horses in the group are doing. Just as a strange horse can cause other horses to become nervous (herd behaviour, shying), a feeding horse will encourage other horses to eat. The effect is small, but can be important. 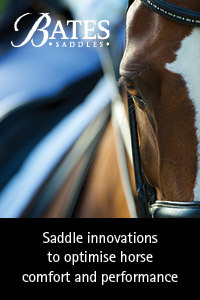 Visual contact is important for social facilitation to occur, so horses should be able to see one another eat. The reason horses eat more when other horses are present is probably part of their anti-predator strategy. If one horse raises its head and looks for wolves, the other horses can keep eating. The vigilance of each individual is reduced if it lives in a herd. 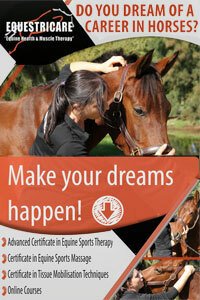 Many believe that horses have specific appetites or cravings for nutrients that are deficient in their diets. However, the only nutrient for which mammals have an increased preference when deficient is salt. 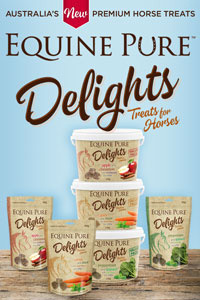 Horses eat to maintain energy levels, rather than eat to maintain mineral levels. For example, horses on a calcium-deficient diet will not voluntarily consume more calcium than those on a calcium-sufficient diet. The significance of this is that horses cannot be expected to choose the correct vitamin and mineral mixture from the dietary ‘smorgasboard’. The correct nutrients must be provided in the proper proportions and imbalances can arise if a very palatable supplement is consumed to excess. Dirt-eating is thought to be a sign of mineral deficiency, but the latest thinking is that the horse is searching for the micro-organisms and nutrients that live around the root zone of plants. Underlying causes of reduced appetite should be addressed. Veterinary advice and treatment may include depressants such as benzodiazepine and phenothiazine derivative tranquilizers, which stimulate feeding by removing active inhibition of feeding. The benzodiazepam tranquiliser, diazepam (Valium) is of particular value for stimulating feeding in anorexic horses, but should only be prescribed by a veterinarian. Other treatments include 100ml of cheap red wine per feed – reported to improve appetite after two to 3 days. The less expensive wines have more skin solids (and therefore B-vitamins) than filtered wine. If there is a likelihood of the ‘help’ drinking the wine, add 100ml of blackstrap molasses per five litres of red wine. But always, both the type of feed and the feeding management must be examined for a successful outcome. Trying to increase a horse’s appetite without investigating an underlying problem does not make sense - they came up with the phrase ‘eating like a horse’ for a reason.